President of Jamaica Trade and Invest (JTI), Robert Gregory, has assured the United States-based Jamaican Consular Corp, that it is the firm resolve of the agency, to deepen its relationship with the Corp in the continuous mission to promote brand Jamaica. This he said, as the Consular Corp is a viable partner, noting that the strengthening of this partnership would greater impact the effort to attract jobs and wealth creating investments, and secure lucrative markets for quality Jamaican products. Mr. Gregory was speaking at a recent forum of the overseas missions’ staff of Consuls General and Honorary Consuls to the region, hosted by the Jamaican Ambassador to the United States of America, Anthony Johnson, in Fort Lauderdale Florida. He pointed out that in 2007, US$866.5 million was facilitated by the JTI and other agencies involved in attracting investments. While the big earners were information communication technology (ICT) and tourism, other credible performers included mining, minerals and the chemical sector, agriculture, manufacturing and distribution, he said. Reiterating that the JTI is redoubling its efforts to focus on bringing greater levels of investments in those areas, Mr. Gregory called on the missions to assist the JTI in this endeavour, stressing the critical need to earn increasing volumes of investment income for the economy. 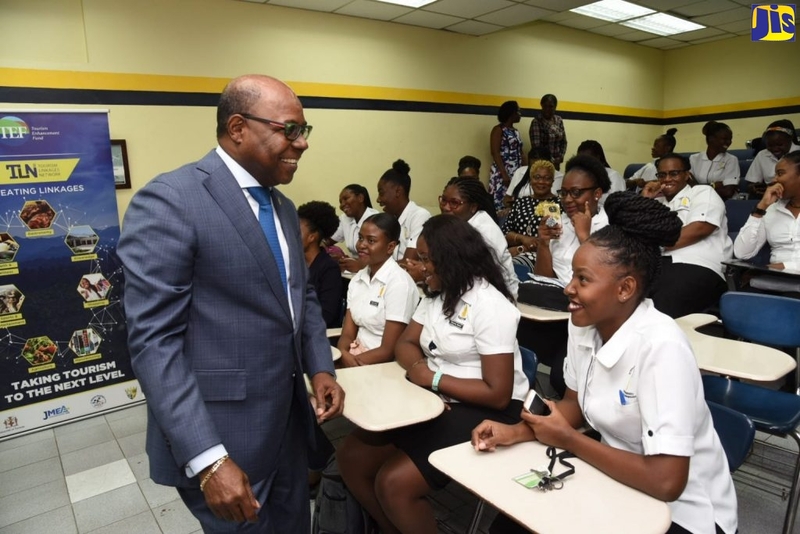 Referring to Jamaica’s performance as a destination for foreign direct investment, he said that the significant investments that have been made in the island’s infrastructure had given Jamaica a competitive advantage regionally. Highlighting the importance of the investment in infrastructure to the advancement of the island’s economy, Mr. Gregory spoke of record inflows of foreign direct investment mainly in tourism over the last three years. In order to ensure sustainable development arising from these inflows, he said, growth has to be encouraged in local direct investments to also attract jobs and wealth creation. Meanwhile, JTI has developed, as part of itspromotional efforts, a Directory of Investment and Business Opportunities, which lists an array of investment projects across all sectors of the economy. The objective of the two-day event was to bring together the overseas Consular offices to address the Government’s mandate on economic development, trade and investment, international relations in the communities within their jurisdiction, strengthening relations with the Diaspora, as well as inter-relations with Government to Government agencies including the Registrar General’s Department (RGD), the Passport, Immigration and Citizenship Agency (PICA) and the JTI.